It has been an active autumn for HydroFlex partners in work package 5. 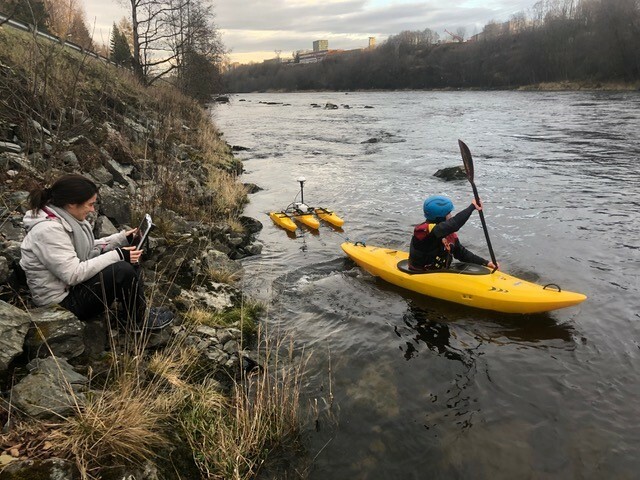 In order to set up the hydraulic models for the environmental assessment of flexible hydropower, the teams from NTNU and LTU were out in the field at Nidelva river in Trondheim, Norway, and Ume älv in Sweden. 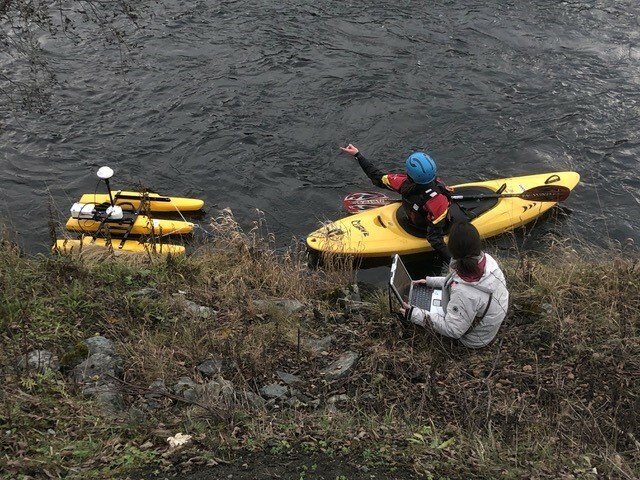 At Nidelva, the NTNU team towed an Acoustic Doppler Current Profiler (ADCP) after a kayak – an efficient way of getting data when you have an expert kayaker. Afterwards, the data are processed further in a Geographic Information System (GIS) to create the geometry model of the river, which is input to the hydraulic model. 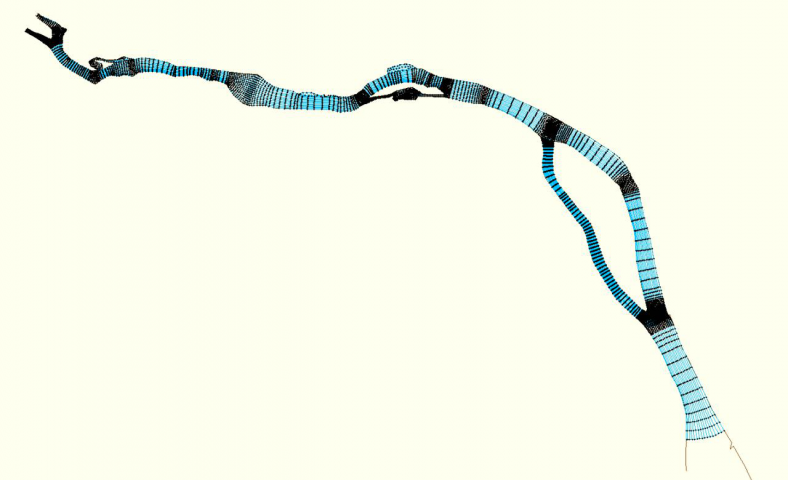 This is the first 2D mesh to be used for the hydraulic model of Ume älv downstream Stornorrfors hydropower plant. 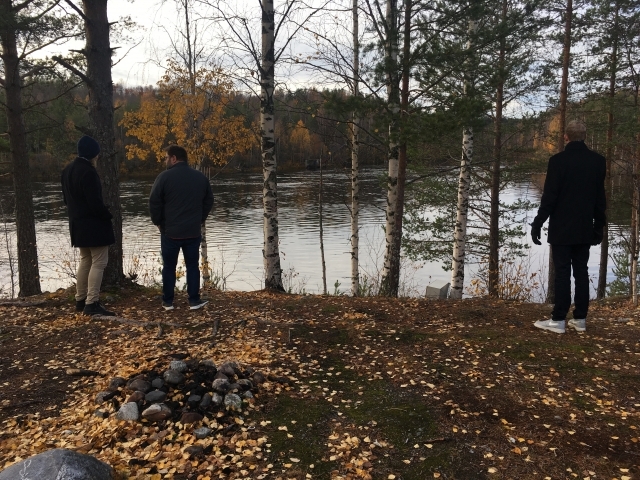 The HydroFlex team from LTU was on a site visit at Ume älv in Sweden.